With the project “YOGA TRANSFERT” I combined what are my greatest passions, illustration and Yoga. My proposals reflect the willingness to share the profound power that yogic symbolism holds. Yoga Transfer is a project and a way of experiencing yoga. In addition to feeling the benefits practiced by yoga, its connection can also be shared through images. When we feel the need for strength, courage, steadfastness, what we need is to understand that these are aspects that we have within us and that we just need to relate to them. 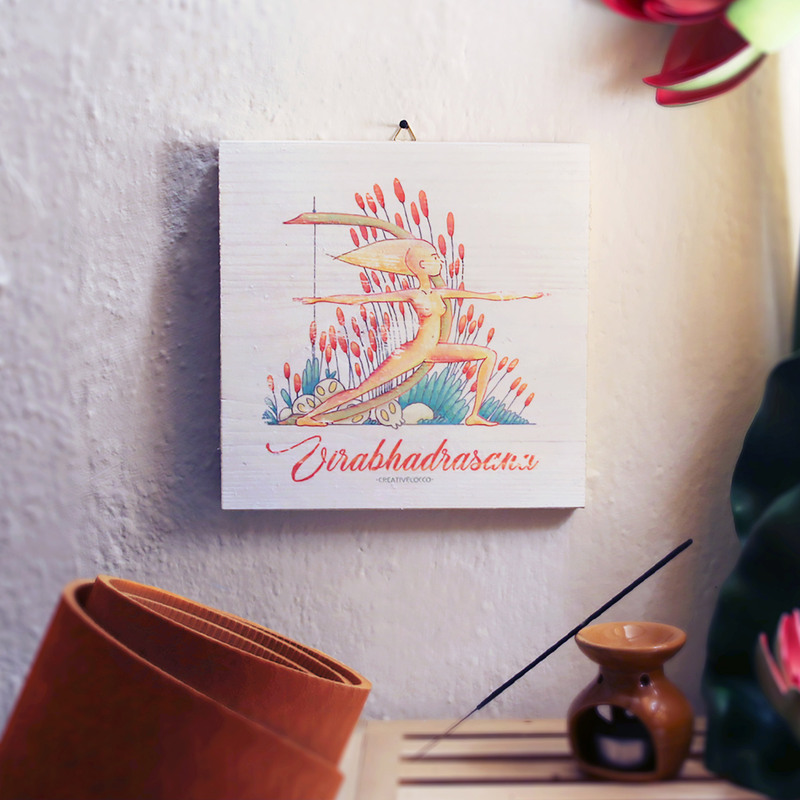 The YOGA TRANSFERT squares help us to connect to some aspects, such as the force through Virabhadrasana, or the opening of the heart with Ustrasana or the prosperity of Upavisthakonasana. Seeing, even in distraction, an image that refers to a concept serves to connect us now. The image and the symbols reverberate inside us, let’s surround ourselves with illustrations that can recall our inner beauty.